Obtaining a Wyoming phone number for your LLC or corporation in Wyoming is a simple process and can be completed in a few minutes‚ for free! 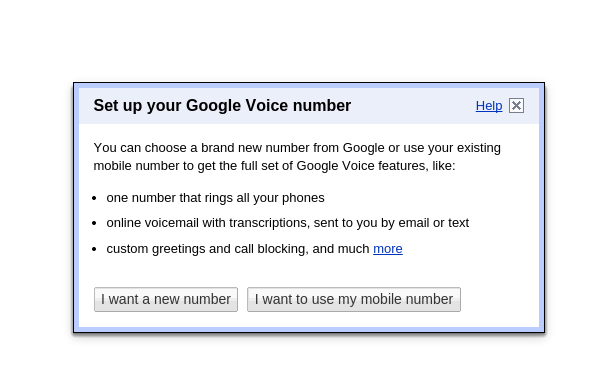 To do so, you’ll need to use Google Voice, and if you don’t already have one, you’ll need to create a Google account. You’ll also need an active telephone with a push-button dial pad. Follow the steps below to get a free phone number for your Wyoming LLC or corporation. Alternatively, we offer your own unique Wyoming 307 phone number to all our clients for $10 a month. We’ll have it programmed and forwarding to your phone number the same day. You simply place an order for registered agent services or having us form your company, and you’ll notice you can add a $10 a month WY Phone Number to any order. But why pay for it, when Google will give you one for free? You’ll be required to log in to your Google account. If you don’t already have a Google account, create one. It’s simple and fast and you can signup by clicking the “create account” button toward the bottom of the page. After signing in, you’ll land on a mostly blank page. 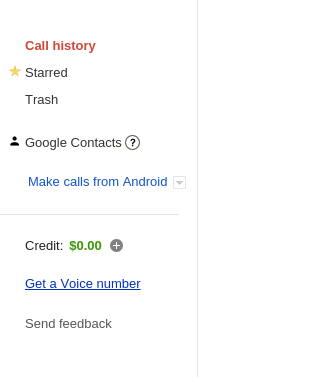 In the menu on the left (see picture below), you’ll see the option to Get a Voice number. 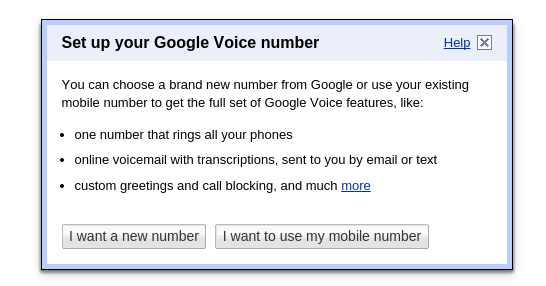 Click the Get a Voice number option. This is where you enter your current, active phone number and phone type (home, work, or cell). This number will not be on public display. 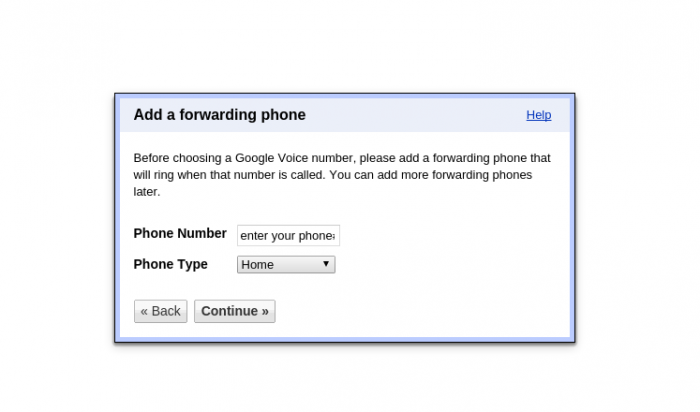 It is only used by Google as the place to where your phone calls will be routed. After inputting your the phone number to where you want Google to route your phone calls using the Google voice number, you will be prompted to verify your phone number with a two-digit code. Press “Call me now” and an automated operator will call your phone and ask you to verify your number by entering the two-digit code. Wyoming only has one area code: 307. 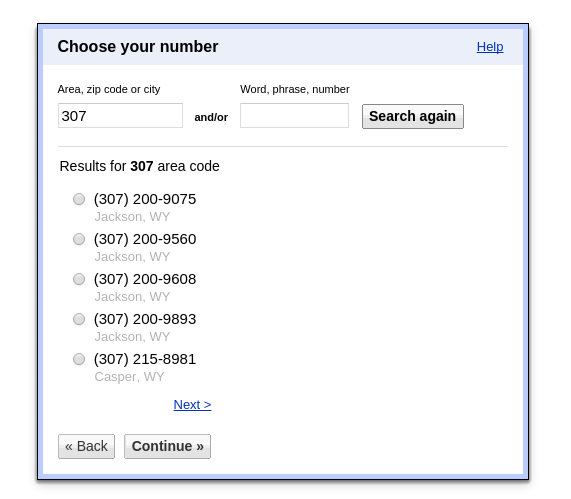 If you enter 307 into the area code field and press the search button, you’ll be presented with a number of options. Select the number you desire, and press continue. That’s it! You now have a new Wyoming phone number for your LLC or corporation‚ free of charge. We help clients form a Wyoming LLC or form a Wyoming corporation for $150 total. That includes everything. We also are the cheapest Wyoming registered agent. We believe in living economically and helping our clients do so as well.